Guizhou is a mountainous southern province somewhat off the beaten track. It has high mountains in the west that step down gradually towards the east of the province. It stands on the watershed between rivers flowing north to the Yangzi and south to the Yu (Pearl) river. As in neighboring Guangxi there is a great deal of karst (limestone) scenery. Many different ethnic people (including Miao; Buyei; Dong; Yi; Shui and Gelao) live in isolated rural communities scattered among the mountains; in these communities local languages are more commonly spoken than Mandarin Chinese. The wide range of traditions give a good many opportunities to hold rural festivals including Sanyuesan Festival ➚; Sisters' Rice Festival ➚ and Shui New Year [held in September] ➚. 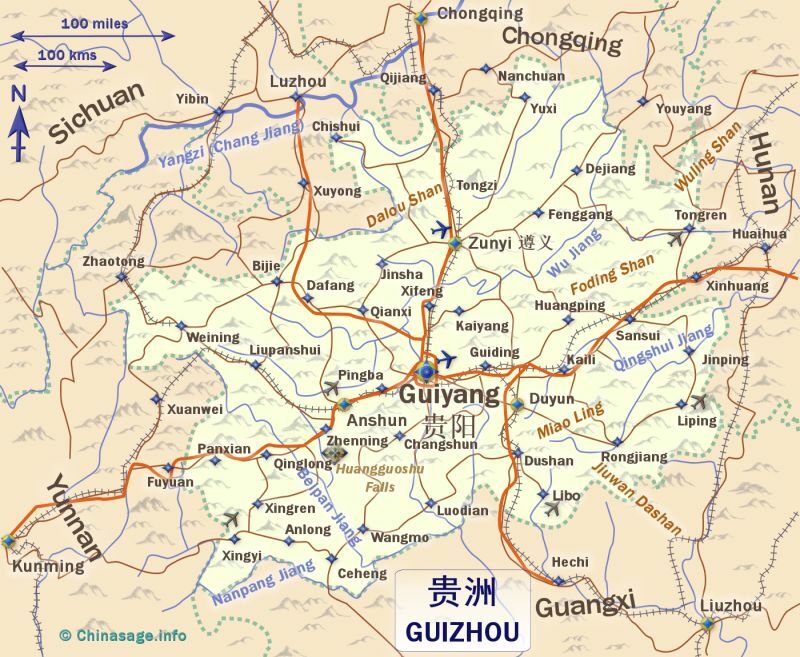 Guiyang, at the center of Guizhou province is the largest city. Beset by moist air, sunshine here is at a premium leading to the city's name which transliterates as 'precious sun'. Qianling Shan Park ➚ to the north of the city center has many shrines set in woodland. Guiyang still has some restaurants that serve dog meat ➚ as a specialty. Jiaxia Lou is a Ming dynasty pavilion converted into a tea-house. There is also a provincial museum with many local finds. The scenic splendor of Guizhou makes the province a little known gem for visitors. The best known spot is the Huangguoshu Waterfalls ➚ to the south-west of Guiyang. It is the largest waterfall in China, there are nine 'falls' of level; eight cataracts and one large waterfall. It is possible to view the waterfall as a curtain from behind. The falls are on the Baihe ‘White River’ which flows south by many twists and turns before joining the Pearl River which eventually empties into the South China Sea. The 66 feet [20 meters] wide river falls 197 feet [60 meters] with great force into Rhinoceros Pool. 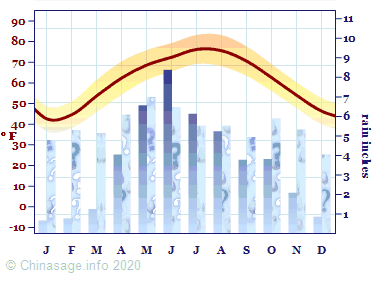 It is best to time your visit to avoid the dry season that runs from November to April. There is a cavern nearby bristling with stalactites. Other sites to visit in Guizhou include the Wuyang River ➚; Anshun ➚ with its batik textile industry, Yuantong Temple and Longgong Caves ➚. Weining in the far west of Guizhou is famous for its minority festivals and bird watching on Cao Hai ➚. Chishui in the north has nature reserves along the river. While Zhaoxing to the south east has villages of the Dong minority people with their distinctive wooden houses. Kaili is the center for the Miao (Hmong) minority people famous for the fine embroidery worn by the women. There are well established routes for hiking around the Kaili region. Over the centuries Han people have settled in the north and east of Guizhou, forcing the indigenous people to move to the mountains. In January 1934 the Long Marchers made there way through Guizhou. At the Zunyi Conference, northern Guizhou Mao Zedong became the leader of the Communists. 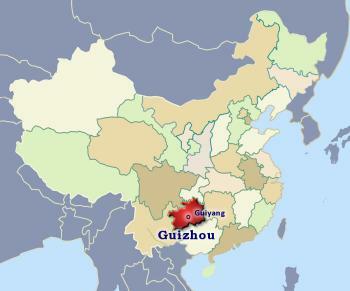 Development of Guizhou started during the Japanese occupation when neighboring Chongqing became the capital of Free China. Even so, as late as the 1980s 50% of the villages still had no road to them. Recently some industry has developed including coal mining and hydro-electric power generation but development compared to its neighboring provinces has been slow. It has served as an example of the limits of centralized economic planning. Guizhou has hot, humid summers and short cool winters. Where the mountainous terrain makes possible, tobacco; tea; rapeseed are grown. The Chinese Gooseberry ➚ (Kiwi fruit) is a native plant along with many unusual plants that are used in traditional medicine. 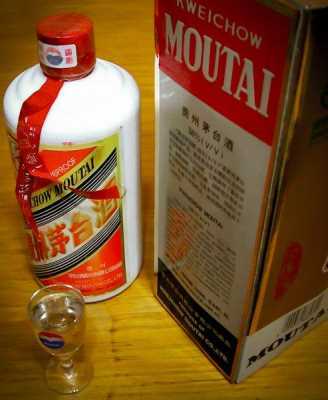 Maotai Liquor ➚ is distilled from a wheat and sorghum base; it is famous throughout China and beyond. It is distilled at Maotai, a town in northern Guizhou. Qian cuisine is the main style in Guizhou and balances hot; spicy and sour flavors. Citation information for this page : Chinasage, 'Guizhou, China', last updated 3 Dec 2018, Web, http://www.chinasage.info/maps/guizhou.htm.